If you're looking for possibly the best ultralight camp table on the market, you've found it — but it's gonna cost ya. Stepping into the ring at a mere 1.5 pounds is the Helinox Table One. We can't say enough about how well this table scored in our stability tests. Considering its weight alone, we were blown away by its performance, handling substantial amounts of weight without toppling, collapsing, or breaking. It wasn't our favorite table due largely to its niche role, but we are fans of several of this table's features. The canvas top doesn't lend itself to cooking, and its size relegates it more to a side table. But if you want to take a table into the backcountry or want a small table for your kids at the campsite, this Top Pick Award winner is the best in the test. If you're in the market for a small, ultralight table but need a lower price tag, check out our review of the equally lightweight Moon Lence Ultralight Table. The Table One is a superior table, but the Moon Lence model only costs $30. Helinox produces a Helinox Table One Hardtop and a Large Hardtop version of this table. If you like any of these tables, also check out the 1 lb Chair Zero for paired campsite seating. The Helinox Table One may be small, thin, and strikingly lightweight, but we assure this table holds its own in the ring. About the size of a rolled-up Sunday newspaper on your doorstep (when stored), we were surprised and pleased to discover its brawn can rival even the toughest leafcutter ant on the planet. Okay, we realize at first read this doesn't seem impressive, but when you consider the lowly leaf cutter can carry 50 times its body weight, its strength begins to sink in to even the thickest of noggins. Furthermore, the Helinox can hold 110lbs — 73 times its body weight — actually making it tougher than an ant. Without question, the Helinox can support a lot of weight. The manufacturer lists its maximum capacity at 50 kilos, which is roughly 110 pounds. This table has grit beyond our expectations. We also weighed claims from the manufacturer against our field-use, after weeks of using each table, to see how this table reacts to the real world, filled with uneven surfaces and the forces of nature. The Helinox is quite stable for its size and weight. Its ability to bend and stretch helps it avoid toppling. We stacked weight on the corner of the table to see how much it could handle before buckling. We found it can handle just shy of 30 pounds right on its outer corner before falling over. We were impressed to find that, due to its complex design, the table's joints allow for lots of give-and-take. This allows the table to yield to the load without breaking or collapsing and helps it remain upright on uneven surfaces better than rigid models. The Helinox's unique design allows the table to lean and adjust to weight instead of toppling over. Here it easily handles a 30-pound river stone right on its corner. We didn't follow the manufacturer's guidelines during our weight tests, so you may want to treat your Helinox a little nicer than we treated ours. This table has a lot of moving pieces, which results in natural give and movement, but doesn't make the table wobbly. One double-edged sword feature about the table is its weight. It is incredibly lightweight, allowing the user to take it almost anywhere, but its lack of heft also causes it to be a victim of wind, swinging dog tails or a simple bump from a foot or knee. In short: It won't topple under heavy loads, but a wind gust may spell the end for your freshly made PBJ. If you typically camp in windy areas, be aware. The Helinox shines when it comes to portability. This table is the most portable model we examined. In addition to being incredibly lightweight (1.5 lbs), its carrying case is riddled with handles and loops, making it easy to clip to just about everything. The Helinox can be easily tied, clipped, or strapped to any backpack. The Helinox Table One's stuff sack is covered in loops and handles, making it easy to attach to a backpack or just about anything else. Geat portability makes this table our favorite for hike-in campsites and short backpacking trips. It's ideal for anyone who likes the idea having a few comforts of home on their next backcountry adventure. It also sports the smallest packed dimensions of any table we've seen. Attaching to a backpack is a breeze for the Helinox. Boasting one of the best warranties of the all the tables we looked at, the Helonix receives high marks in this particular area of our durability testing. How a company backs up its product is an appreciated vote of confidence concerning a product's longevity. The Helinox held up wonderfully to being assembled and repacked more than 30 times. We saw no sign of wear and tear concerns. The table (and all smaller tables like it) has some inherent weaknesses when it comes to durability. Its size increases the potential for being accidentally stepped on, landed on, or sat on. The fabric top is subject to damage from sharp items, hot pans, or sparks. Polyester mesh makes the table's top strong and very lightweight. The main drawbacks of a fabric top are its susceptibility to damage from sharp objects and heat. Generally, caring for a product increases its lifespan. This includes cleaning. The fabric top of this table is more difficult to clean than hardtop models. While this table is surprisingly durable for such a lightweight, small table, it doesn't shake a stick at the longevity of most larger, hardtop tables. There is very little guessing when it comes to what goes where when assembling this table. Nearly all of the moving parts of the base are guided into place by pre-attached bungee lines. We timed ourselves several times and found that the table can be assembled or repacked in under a minute. The Helinox Table One's base is the most complicated to assemble of the tables we studied. The intricate design allows the table to bend and sway under heavy loads instead of falling over or collapsing. The Helinox assembly can seem unintuitive on the first try. This became very apparent when we challenged bystanders to assemble the table without instructions. Once learned, however, it goes together easily. In the end, when graded on the curve against other tables we studied, this table is above-average for ease of setup. We loved how easy this table is to put away. The entire aluminum base breaks down and rolls up inside the fabric top, making it very easy to stow into its storage bag. How many uses can you imagine for a small side table? While it isn't a necessary addition to most outdoor scenarios, most of us bring things into the backcountry that aren't 100% vital. The outdoor enthusiast who is ok with adding add some weight for camp comfort will enjoy the Helinox table. Additionally, this table is perfect for making any outdoor adventure a little more convenient or luxurious. Think beach, movies in the park, a cross-country motorcycle trip, kayaking, lunch at the lake, and any other activity that is conscious of weight, space, or could simply use the comforts of home. This table unfolds into a perfect end table for any camp chair. We loved the two built-in cup holders. As far as tailgating or camping, the Helinox is good for an end table to hold your drink, but we wouldn't use it for much more. It's too short and small for preparing food, cooking, playing cards or squaring up to for lunch. Our opinion on the table's value is a bit polarized. Given the Helinox's low weight and quality, we do feel it's worth its higher-end price — for some buyers. In our opinion, the Helinox is best suited as a luxury item for the backcountry. Many backpackers in the market for a sturdy, lightweight, and a relatively durable camp table wouldn't blink at dropping several bucks on a Helinox. After all, in the backpacking world: Smaller + lighter = pricey. 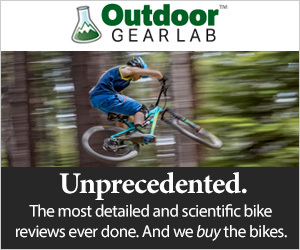 Therein lies the polarization: We feel this table is a niche product (ultralight camp tables) within this gear category. The Helinox (left) is one of the most compact and lightest camp tables on the market. The other two ultralight tables we tested are 8 inches longer when packed. We like the function and style of this table and are very impressed with its muscle to weight ratio. It is an excellent product that is expertly designed. In the end, our review is challenged with finding the best overall camp table, and therefore we leaned toward larger tables with more general and practical uses. If you are looking for a small side table for a variety of front and backcountry uses, though, this is our top recommendation. Of the three ultralight camp tables we studied, the Helinox Table One (on top) is the strongest and most durable.